Singer Arijit Singh is relishing the tremendous love he is receiving from his fans for his romantic tracks, but says the offers he receives are not in his hands, and he did not plan his career in any way. “I don’t care about the fact that doing just one type of song is hampering my growth. I don’t calculate these aspects,” Arijit said at a media interaction to promote his upcoming Symphony concert in Mumbai, his third after one each in Dubai and London. 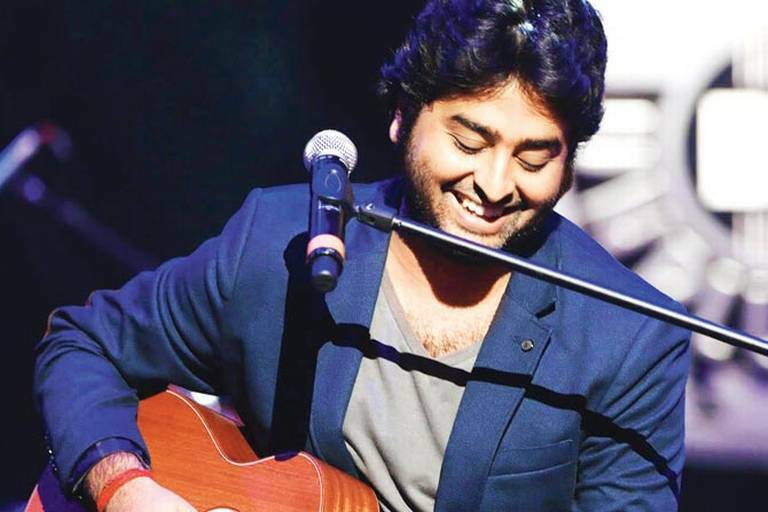 Arijit launched himself on the big stage with romantic song “Phir Mohabbat” in “Murder 2” and went on to sing several other romantic songs like “Tum Hi Ho” and “Mast Magan”. He is currently basking in the success of his emotional song “Chunar” from “Any Body Can Dance 2” and the romantic title track of “Hamari Adhuri Kahani” .